Since today is Independence Day and the 240th anniversary of Our Declaration of Independence from England here in the United States of America, I thought it would be the perfect day to write about one of the Marian apparitions that has occurred on our nations soil – Our Lady of America. Now some of you might be thinking to yourself that Our Lady of Guadalupe has been given this title, but that would be incorrect. Our Lady of America refers to the Blessed Virgin Mary in her patronage over the particular country of the United States of America and is distinctly different from Our Lady of Guadalupe, who is known by her title, “Empress of The Americas”, which refers to her patronage over all the nations that compose the Americas. Blessed Pope Pius XII declared the title in reference to Our Lady of Guadalupe in 1945. On the night of September 25, 1956, Our Lady first appeared to Sr. Mary Ephrem, although she had mystical experiences since 1938. She didn’t think anything of them since she thought all religious had experiences such as these. Realizing that these experiences particularly focused around the Blessed Virgin Mary, which Sister was asked to circulate, she asked Monsignor Paul F. Leibold to be her spiritual director. Even as the Archbishop of Cincinnati he served her in this role until 1972, when he suddenly passed away do to aneurysm. The Archbishop believed so heartedly that the messages to Sister from Our Lady were real; he authenticated her writings, gave them his Imprimatur as well as authenticated the design of the medal. During one of the apparitions, Our Lady asked Sister Mary to have a medal struck, which would bear the image of Our Lady of America on the front, and on the back, would be the symbol of the Christian Family and the Blessed Trinity. During the apparitions, the Blessed Virgin pledged that if the United States did what was asked by her, the miracles in the country would be greater than those gifted at both Fatima and Lourdes. Because the Blessed Virgin Mary had a love for the children of America, Sister Mary said Our Lady called herself – Our Lady of America. 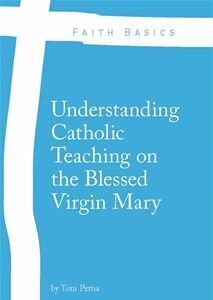 She would often give affirmations in the apparitions regarding the National Shrine of the Immaculate Conception in Washington, D.C., and since so many had a devotion to Mary in America, the title confirms her response to those individuals. In the years of 1957 and 1958, Our Lady gave very strong warnings of the things that were growing and potentially coming to the United States of America. In the late summer of 1957, Our Lady said that although consecration to the Immaculate Heart had occurred, more needed to happen. All must seek after inner holiness and reform their lives. Those that cling to sin were unable to receive the treasure of grace that was awaiting them. The Blessed Virgin promised that if her statue as Our Lady of America were given a place of honor in the National Shrine of the Immaculate Conception, she would then protect the country. If a picture or a statue of Our Lady of America were placed in the homes, she would then protect the family. Anyone that wore the medal with great faith and devotion would be protected from evil. As many of you know, our country, and our world, the culture in which we live, has become very hostile to Christianity, but even more so, Catholicism. It attacks the family in ways we have never seen before in the history of the Church. It seems to me that we as a country must rededicate ourselves to Our Lady, not only through the apparitions of Fatima and Lourdes, but also to Our Lady of America. So today, as we celebrate the 240th anniversary of our Independence, let us turn back towards Our Lady of America and recommit ourselves to learning more about her (much more than what’s in this article) and doing what she asked of us in the apparitions to Sr. Mary Ephrem. To print up a high-resolution photo of Our Lady of America and place it in your home, as well as prayer cards and the message book, please visit this page. For the benefit of our families here in the USA, please do this as soon as possible! Update: Here is the high resolution 8×10 picture of Our Lady of America in my home now. It cost me $15.07 at Walgreens – $3.99 for the print, $9.99 for the frame, plus the tax. To continue reading more about this Marian apparition, check out “Mondays with Mary” – Our Lady of America, Part II. “The Story of Our Lady of America.” The Story of Our Lady of America. Langsenkamp Family Apostolate of Indianapolis Indiana, n.d. Web. 04 July 2016. “Regarding Our Lady of America.” Regarding Our Lady of America. Eternal Word Television Network, n.d. Web. 04 July 2016.